as a Married Couple Estate Planning Together? I’ve been getting this question a lot lately: Why shouldn’t we, as a married couple who have had all joint accounts and joint ownership, just have one joint revocable living trust instead of separate or individual revocable living trusts? Joint revocable living trusts can and do make sense for some married couples some of the time, just like Wills rather than trusts sometimes make more sense in a given situation. It is always important to review all of your personal family and financial circumstances with your estate planning lawyer to be sure that you have a complete and accurate understanding of how and why one approach may be better suited to you than another. 1. If you and your spouse are likely to have over $2M combined total assets in your estate (including the value of any life insurance policies that would have paid out upon your deaths and the value of all retirement accounts), this is a way to minimize the impact of the Massachusetts estate tax (which has a $1M threshold for filing and an upper tax rate of 16% on the adjusted total assets in your estate). 2. If you and your spouse are likely to leave a combined total of over $10.86M, as the federal estate tax currently stands, then this is a way to minimize the effect of the federal estate tax as part of your overall estate plan. Note that the federal estate tax has been in existence for about a century in one way or another, but this is the highest exemption amount we’ve ever had and being the political hot button topic that it is, there is no guarantee that the present exemption or tax rates will stay where they are. In fact, if the last 15 years have demonstrated anything (going from a $1M exemption and 55% tax rate in 2001 to the present levels), it’s that the federal estate tax is highly likely to shift around, sometimes rather dramatically! Without a crystal ball the best we can do is to draft very flexible plans and keep a lookout for all the possible chances that may occur. 3. It is easier for your surviving spouse and/or trustee to determine, in consultation with your estate planning attorney, your CPA, and your financial advisor working together as a team, which assets to fund into which irrevocable subtrusts to take into account the laws as they exist at that time of your death. If the assets were held in a joint trust, your surviving spouse and/or trustee would not be able to move assets held jointly into the credit shelter or family trust or it could invalidate the tax exemption status of that entire subtrust. 4. When you die, you’re not around to change the terms of your trust anymore, so at that point, your trust becomes irrevocable at least in part. The portions of your trust that would benefit your surviving spouse and your children, if applicable, become irrevocable. If you have a separate revocable living trust, you can still amend your own trust even after the death of your spouse. This provides a surviving spouse with more flexibility and autonomy than a joint trust would. 5. If yours is a second or subsequent marriage and/or blended family, you and your spouse may not have the same plan for distribution and the flexibility you have to make somewhat different plans can avoid some potential family drama. 6. To minimize estate taxes, you will have to divide assets at some point. I believe that it is probably a lot easier to cherry-pick and split up assets now, while you are in full possession of your faculties and not in the process of grieving the loss of your spouse, than it would be in the relatively immediate aftermath of his or her death and without his or her assistance with the process. 7. 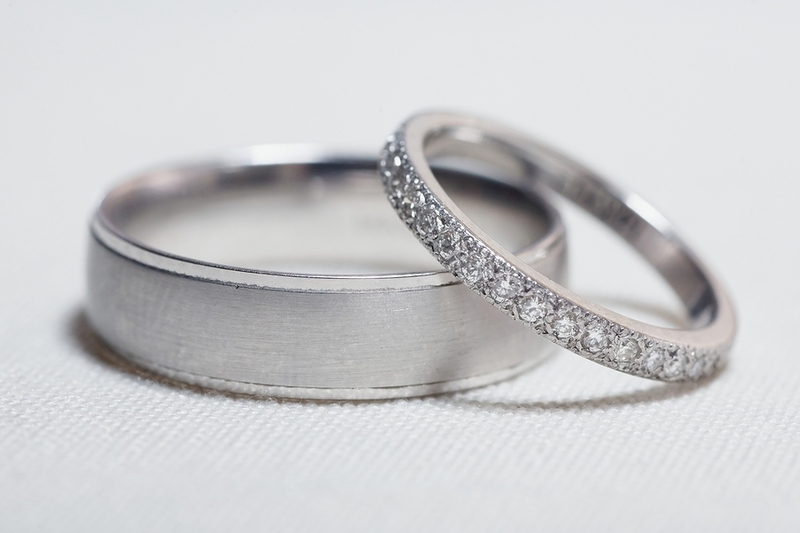 If you or your spouse came into the marriage with substantially unequal assets, separate trusts can also be a way to maintain the character of those separate assets and ensure that they end up where you ultimately intend. 8. There are also some questions, and potential traps, regarding the character of assets contributed to a joint trust as opposed to separate trusts. For examples, depending on the language and provisions of the trust itself, it may not be explicitly clear what portion of the assets in a joint trust should be attributed to the deceased spouse vs. which portion of those assets would be considered part of the surviving spouse’s estate, and contributions to a joint trust may be counted as a taxable gift to your children or other secondary beneficiaries. After a full examination of your current family and financial circumstances and a personal discussion with you about your goals and priorities in terms of your estate plan, your attorney will be able to help you make the best informed choices about which type of plan best suits you and your family.